Mr. Welter attended the University of Southern California as an undergraduate earning a BS in Business Administration with an emphasis in Finance. Following his graduation, Mr. Welter joined Lloyd’s Bank of London as a credit analyst in the commercial lending department. In 1981, Mr. Welter obtained a Masters of Business Administration from California State University at Long Beach. Immediately following his graduation, Mr. Welter joined Price Waterhouse to pursue a career in public accounting and became a certified public accountant in 1983. 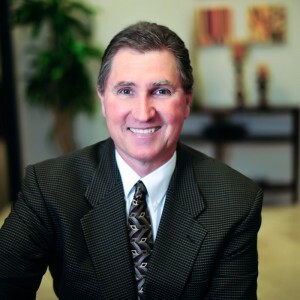 In 1986, Mr. Welter joined the finance department of The Anden Group, one of the nation’s largest real estate development and homebuilding companies, as an Assistant Treasurer. Within two years, Mr. Welter was promoted to the position of Treasurer. During his tenure at the corporate office, the treasury department financed approximately $400,000,000 of acquisition and development loans for residential construction. In 1988, Mr. Welter moved to Anden’s Hemet office as the Assistant Division Manager overseeing all aspects of field operations including land acquisition, forward planning, accounting, marketing, escrow, takeout financing, and customer service. In 1994, Mr. Welter joined Western Pacific Housing, a newly formed homebuilding company as the Director of Forward Planning. Mr. Welter participated in the acquisition and entitlement of land for approximately 2,100 lots/condominium units. Mr. Welter’s responsibilities included market analysis, due diligence feasibility, budget preparation, negotiation of purchase and sale contracts, and entitlements. In 1997, Mr. Welter joined John Laing Homes, a national homebuilding company as the Director of Land Development and was shortly thereafter promoted to Vice President. During his tenure at John Laing Homes, Mr. Welter supervised the forward planning and land acquisition departments. Mr. Welter joined Don Wilson Builders in 2004 as Vice President to manage the land acquisition and forward planning operations for residential construction. In 2007, Mr. Welter’s responsibilities were expanded to include the management of all aspects the company’s residential property portfolio.